1. 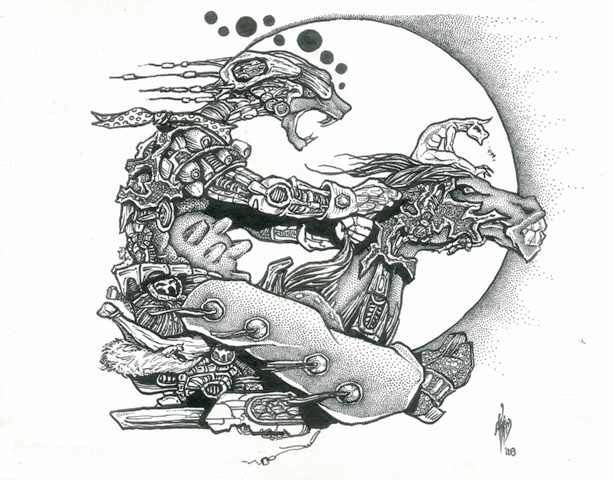 Larry Dickison, Space Cowboy, 2008, pen & ink, 8 x 10 in. 2. a.k.a. 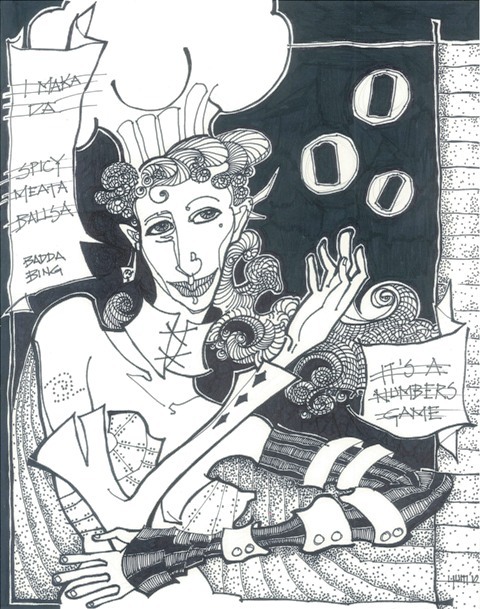 yum, Space Cowboy, 2008, pen & ink,14 x 11 in. 3. a.k.a. 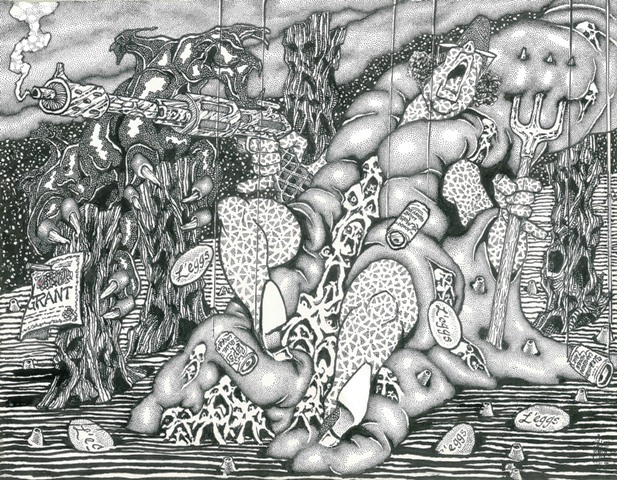 yum, I'm Crushing Your Head, 2009, pen & ink, 14 x 11 in. 4. 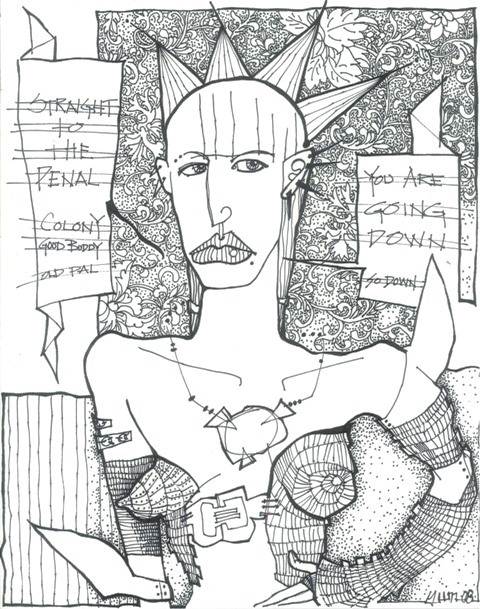 Larry Dickison, I'm Crushing Your Head, 2009, pen & ink, 8 x 10 in. 5. a.k.a. 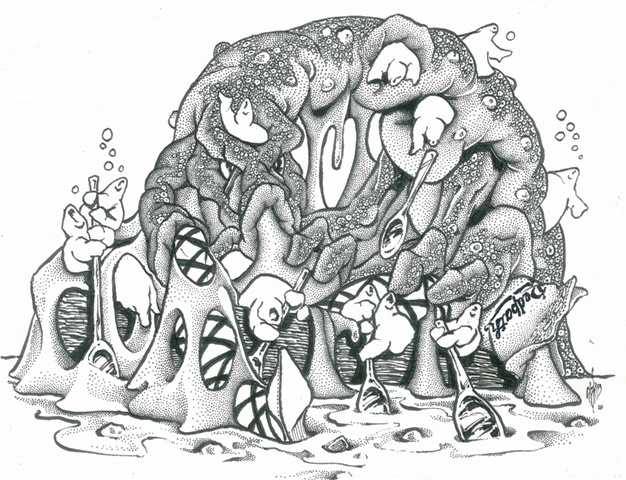 yum, Mars Bar, 2009, pen & ink, 14 x 11 in. 6. 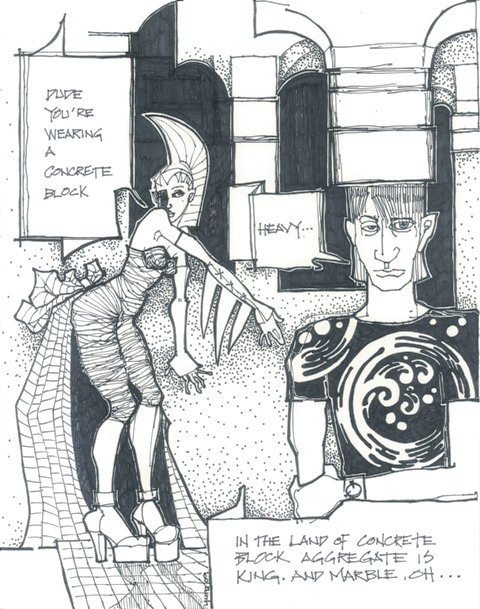 Larry Dickison, Mars Bar, 2008, pen & ink, 8 x 10 in. 7. a.k.a. yum, On The Other Hand, 2008, pen & ink,14 x 11 in. 8. 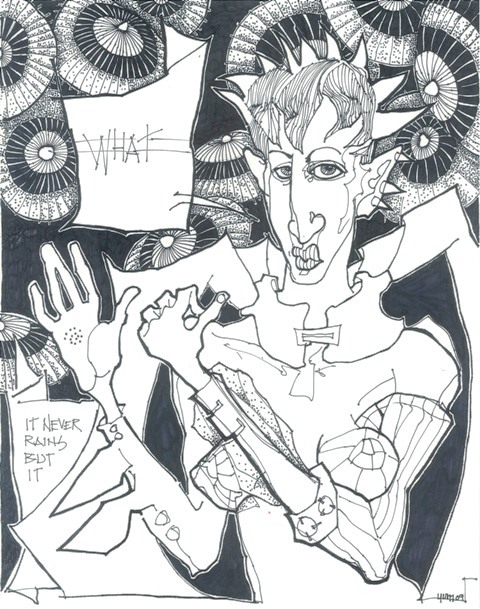 Larry Dickison, On The Other Hand, 2009, pen & ink, 8 x 10 in. 9. 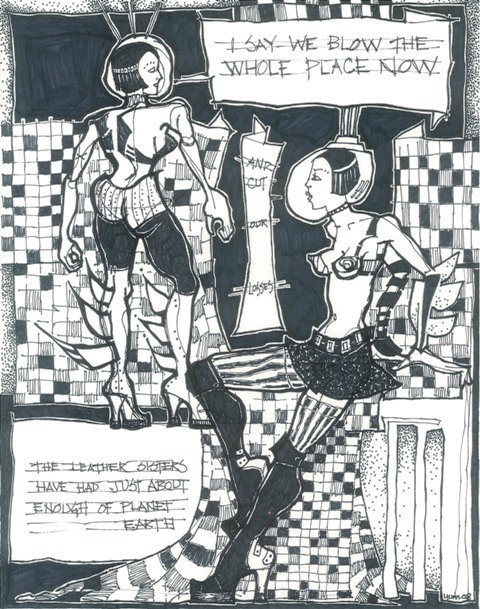 Larry Dickison, Ground Zero, 2013, pen & ink, 8 x 10 in. 10. a.k.a. 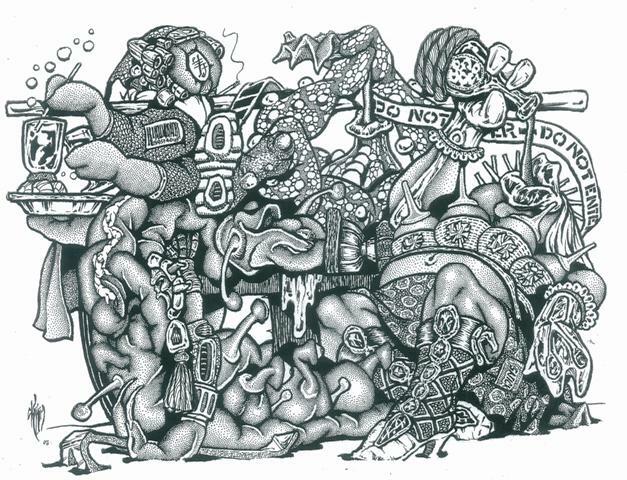 yum, Ground Zero, 2010, pen & ink, 14 x 11 in. 11. 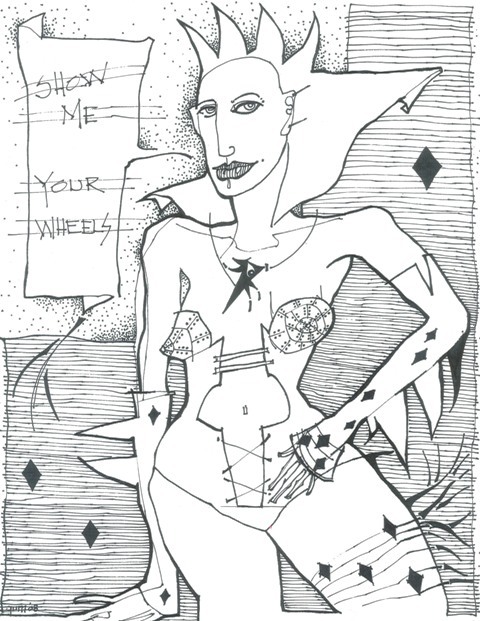 Larry Dickison, Sweet Ride, 2008, pen & ink, 8 x 10 in. 12. a.k.a. 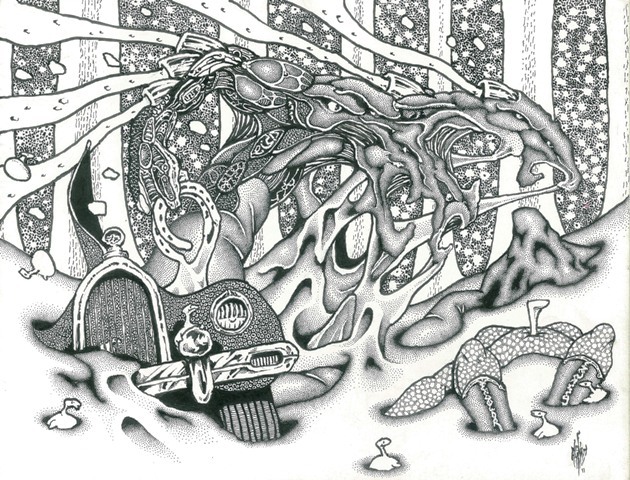 yum, Sweet Ride, 2008, pen & ink, 14 x 11 in. 13. 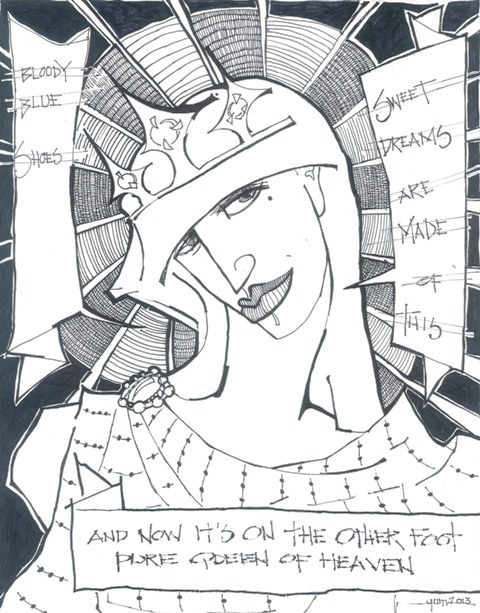 Larry Dickison, Hoodie Two Shoes, 2011, pen & ink, 8 x 10 in. 14. a.k.a. 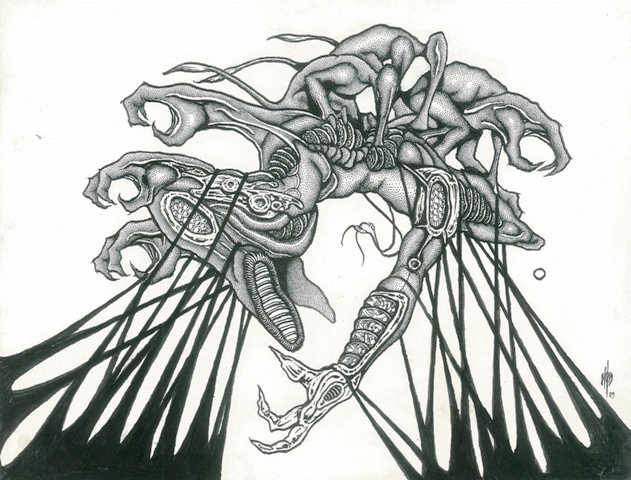 yum, Hoodie Two Shoes, 2013, pen & ink, 14 x 11 in. 16. a.k.a. 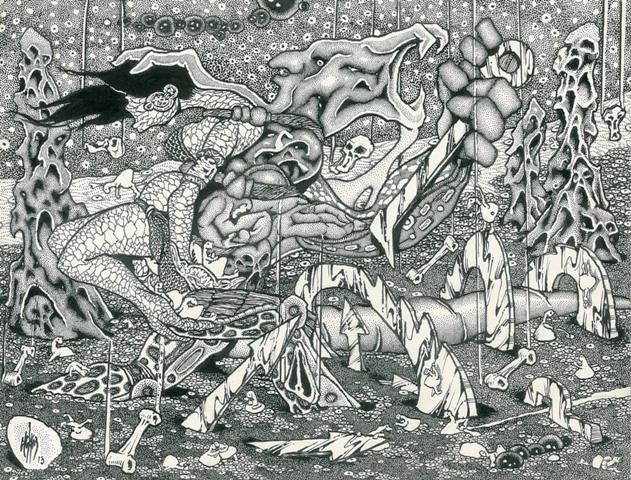 yum, Liberty or Death, 2010, pen & ink, 14 x 11 in. 17. 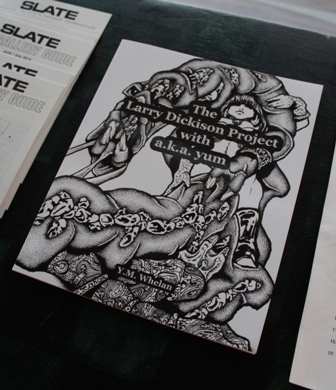 Larry Dickison, In The Nick of Time, 2009, pen & ink, 8 x 10 in. 18. a.k.a. 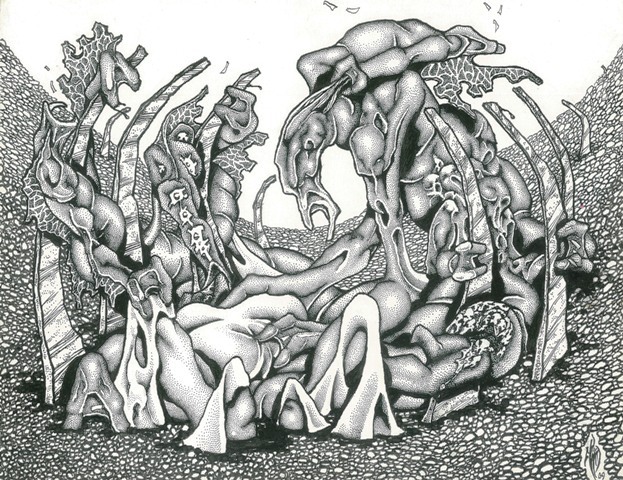 yum, In The Nick of Time, 2010, pen & ink, 14 x 11 in. 19.Larry Dickison, Hoosiers, Hosers, Howitzers, 2012, 8 x 10 in. 20. 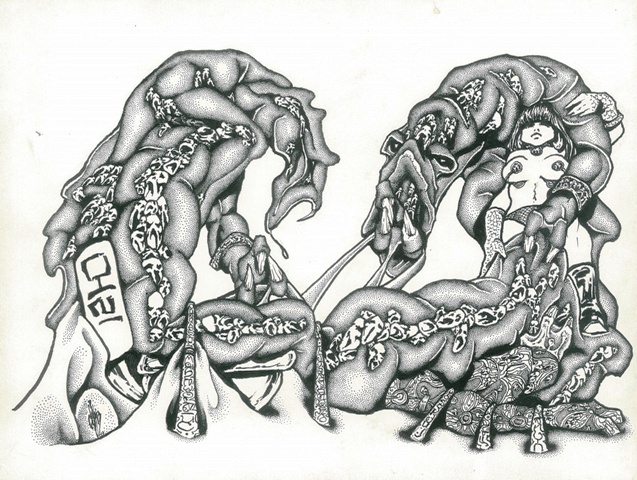 Larry Dickison, Gentlemen Prefer Eggs, 2011, pen & ink, 8 x 10 in.